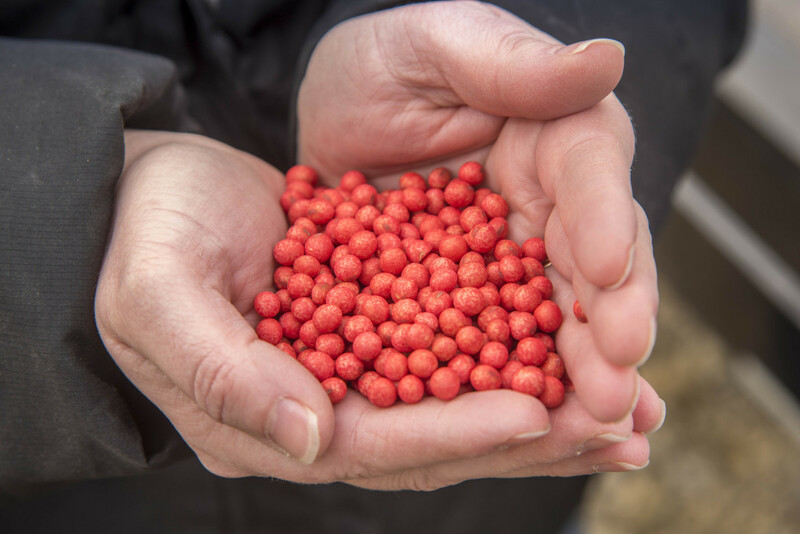 Farmer Jenny Mennenga holds soybean seeds at her family farm near LeRoy, Illinois, in this 2015 file photo. IOWA NOTE: China is the second-largest market for Iowa exports ($2.3 billion in 2016 – $1.8 billion of it oilseeds and grains), behind Canada ($3.4 billion in 2016). Estimates released Monday, April 9, put Brazil’s soybean crop at about 115 million tonnes, according to Reuters. Archer Daniels Midland is one of the largest grain and oilseed processing companies in the world. Soybeans accounted for 17 percent of its $60.8 billion revenue in 2017, according to its annual report. “ADM’s global reach offers America’s farmers access to markets far beyond the United States, and as such we are supportive of free and fair trade policies that help agricultural and food products move efficiently around the globe. These tariffs are not yet final, and we are hopeful for a positive resolution,” said ADM spokeswoman Jackie Anderson in a prepared statement. Agribusiness giant Monsanto is steadily moving forward on the introduction of its next major wave of genetically engineered crops. It’s a bid to stop a super weed, but with critics.